Want to know something that really gets on my nerves? Seeing beauty brands release their Spring collections full of pretty pastels and brights, and the weather taking about fifty million years to catch up. It might still feel like the middle of frigging Winter, but Sleek MakeUP’s new Aqua collection is sure to inject some much needed colour and fun into your makeup bag. The new blush in the shade Mirrored Pink* (£4.49) is a stunner. It’s not dissimilar to the famed Rose Gold blush in nature, but if you found Rose Gold to be a little too warm toned for your tastes then Mirrored Pink will be your saviour. 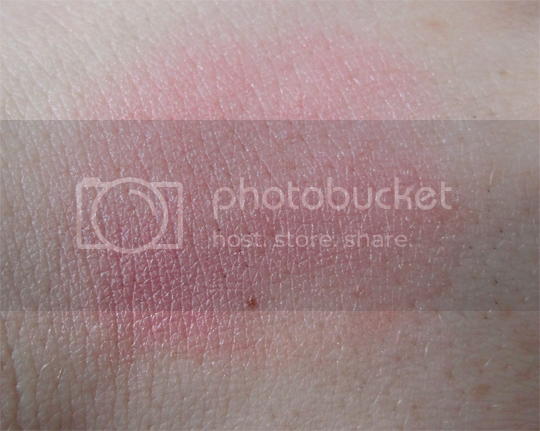 It’s a cooler toned rosy pink shade shot through with flattering silvery shimmer rather than gold, which makes it super ideal for very pale skins but like all Sleek MakeUP products, would probably look gorgeous on anybody. Of course, it wouldn’t be a new Sleek MakeUP collection without an i-Divine palette and this one, Lagoon* (£7.99) is packed with cheerful bright colours. With 3 matte and 9 shimmer shadows, there is as always scope to create a whole ton of different looks. 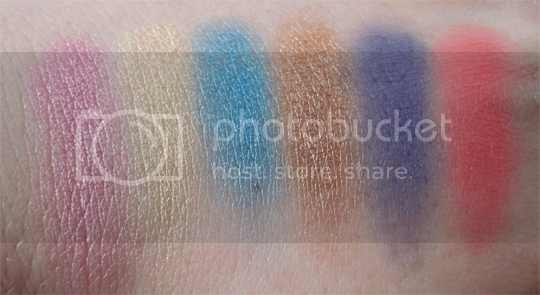 I personally would have preferred a couple more mattes as the balance is always in favour of shimmers, but the brand have proved that they can do mattes amazingly well. They’re all beautiful shadows though (although perhaps too many blues for my liking), take a look. I’m particularly enamoured with the almost neon coral shade, aptly named Ariel! 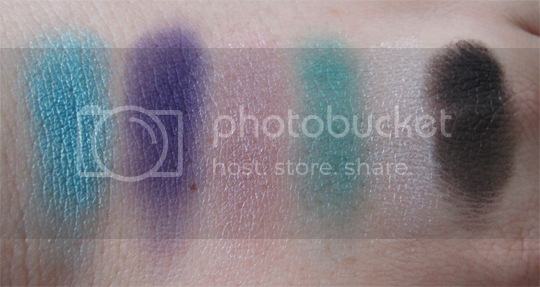 In the quick-n-dirty EOTD below, I erred on the darker side of bright since I’m definitely still feeling stuck in Winter mode but it’s nice to introduce some extra colour regardless! 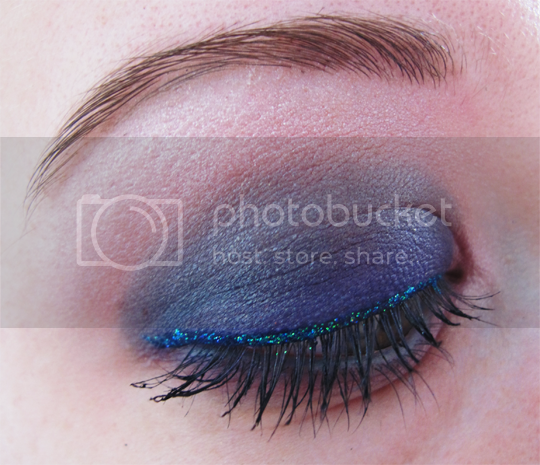 I used Deep Water on the lid, Night Sky and a touch of Ariel in the crease, Oyster in the inner corner and Sessea on the waterline. 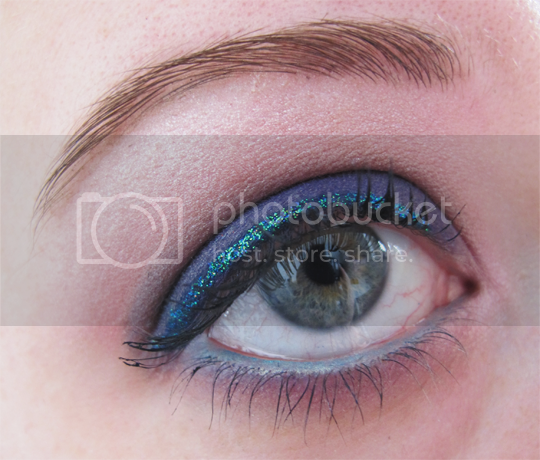 Finished off with a glitter eyeliner, I quite enjoyed going a bit brighter than usual. There is also a set of four mini nail polishes in the Aqua Collection, the Deep Waves Nail Set (£9.99) if you need to update your nail arsenal with some fresh colours for the new season. The Sleek MakeUP Aqua Collection launches online and in Superdrug stores on the 13th March 2013. Will you be picking anything up from the collection, or are you more of a neutrals devotee? Easy Peasy Nail Art: Swingin’ Sixties! So pretty! I love the look you created! 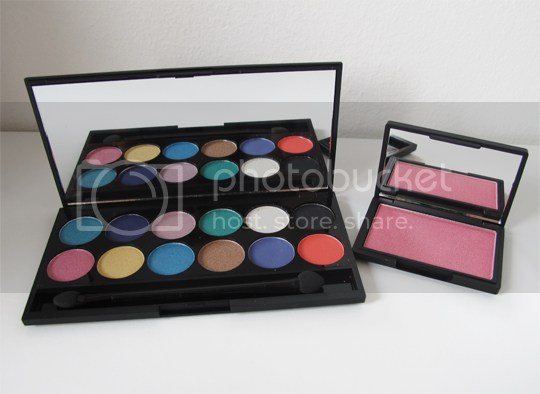 I love the blush, it looks so great <3. The palettes not doing anything for me but I think it’s because I have so many Sleek palettes now that I’m just not even really looking at them. But that blush is a definite yes!